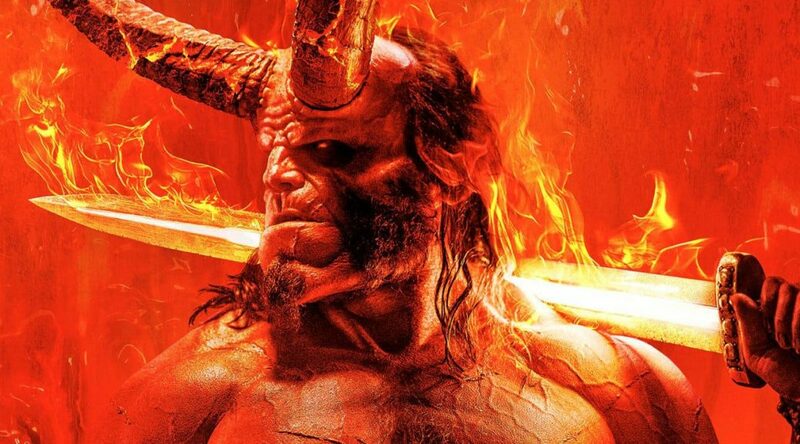 New Hellboy Poster Is Legendary AF! 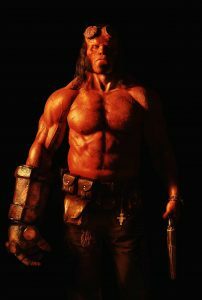 My first introduction to Hellboy was from the first movie. 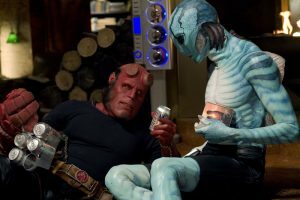 I hadn’t become the Del Toro fanboy that I am now. 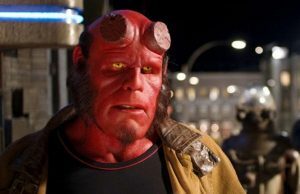 I knew Ron Pearlman as The Beast from the TV version of Beauty And The Beast. I thought the movie looked cool so I decided to check it out. I feel in love right away. After that I devoured the comics as quickly as I could. When part 2 came out I was completely in. I loved every second. Now just to wait till part 3. But sadly we never got it. When it was announced that they were not going forward with a part 3 but instead doing a full reboot I was bummed. But then that first image came out with David Harbour in the lead role and I was instantly in love again. He looks amazing in the role. Mignola as said that this series will be a darker tone than the original series. I’m in. 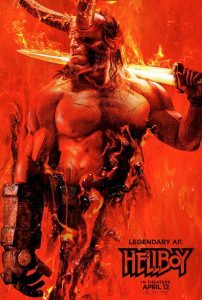 Yesterday they dropped the new poster for Hellboy and it proclaimed it “Legendary AF”. With this poster it’s hard to argue.